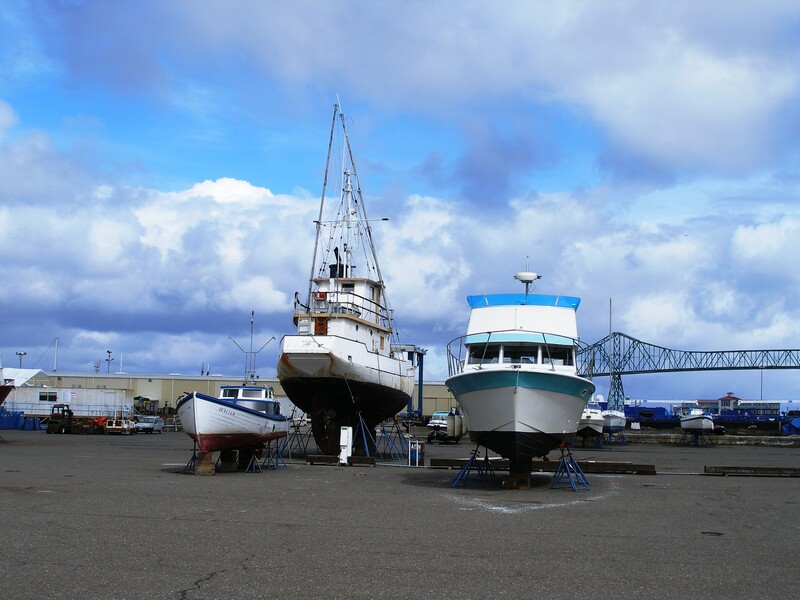 Here, out of the water, surrounded by pavement, they appear as monuments to their trade, sentinels of countless storms of the Pacific Graveyard, and showing the effects of work and weather. 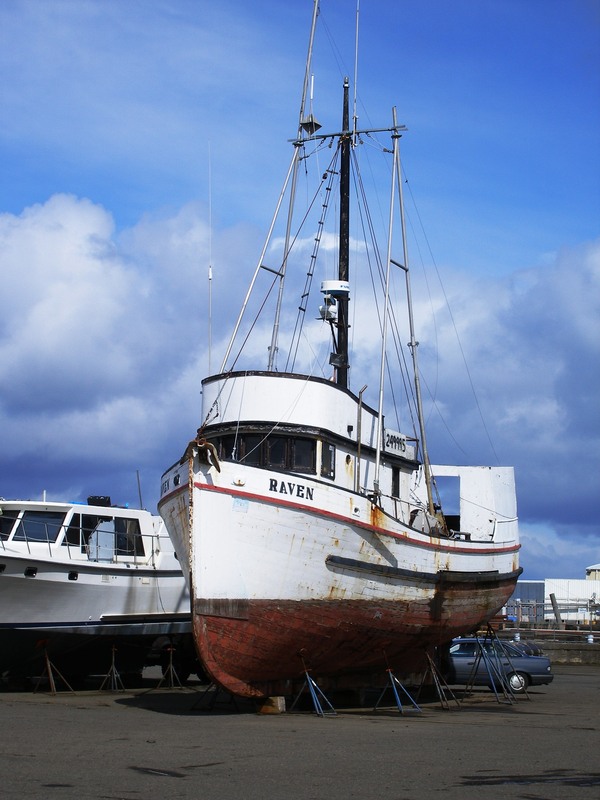 The Raven rests in dry dock, a veteran survivor of the Pacific Graveyard? Slated for demolition and disposal, this old hull waits. A sleek, newer version can be seen in the background. Some of these may have been salvaged, the remnants of a disaster awaiting disposal. …instead swallowed by the surf and consumed by the elements. 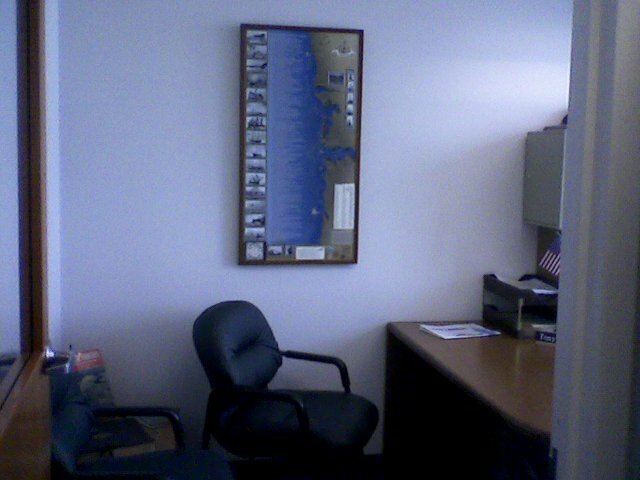 Thanks, Tony, for these photos of your new Dead Reckoning the Pacific Graveyard shipwreck chart hanging in your office at the United States Coast Guard Regional Exam Center in Portland, Oregon. Well I got my Dead Reckoning piece hung up in my office here with the Coast Guard Regional Exam Center in Portland; it looks really awesome and I am very pleased with it. Thanks! You did a great job on it. I have attached two photos of the piece on my wall; they aren’t the best photos as my office is some what small and hard to get a good shot, but at least you can get an idea of what it looks like; everyone here really likes it as well. It was good meeting you and I hope to get down to Astoria one of these days again and will try to look you up if I can; you are also welcome to come here to my office in Portland if you would like any time. January 11, 1991 saw the loss of the fishing vessel Sea King on the Columbia River bar. 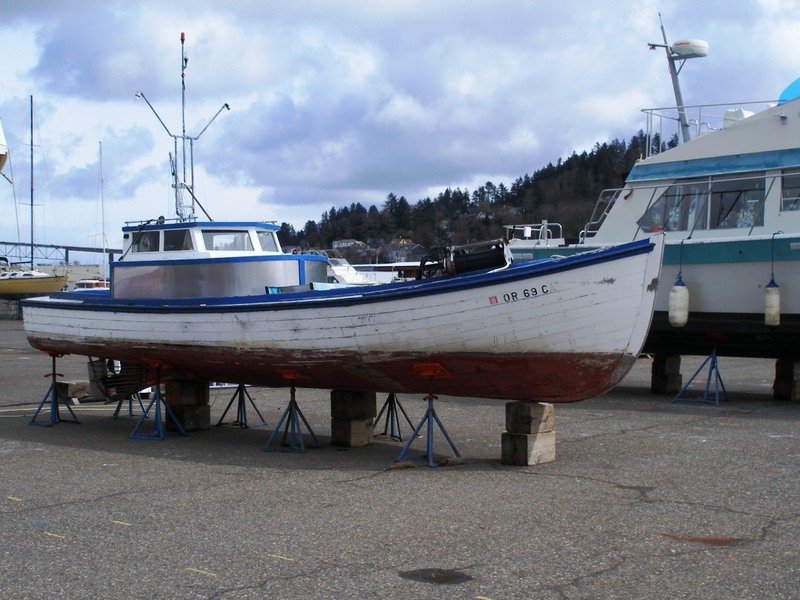 The 75-foot boat capsized and sank while under tow. David Haynes was one of two fishermen, and one Coast Guardsman (Charles Sexton) died during the rescue. 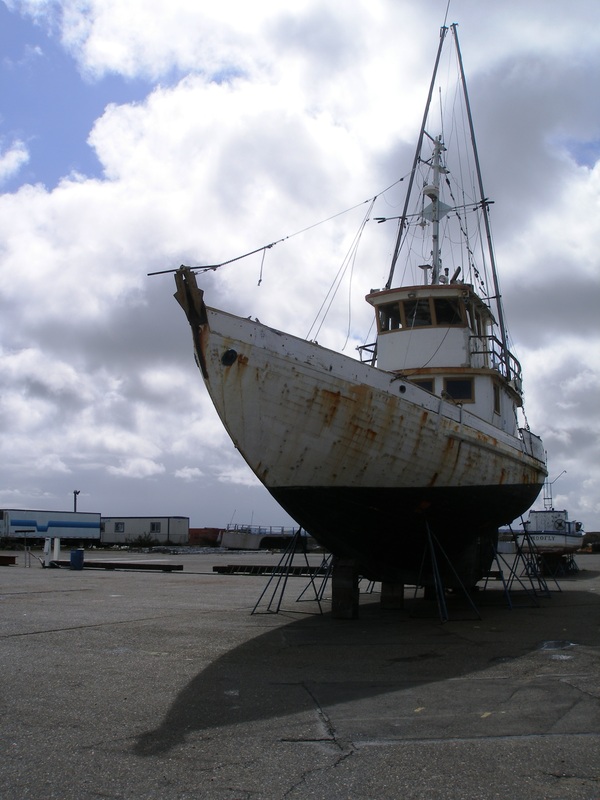 Thirty years earlier, January 12, 1961, the F/V Mermaid lost their rudder and required rescue, resulting in the loss of five Coast Guard crewmen, the two Mermaid crew, the vessel Mermaid, the USCG Motor Lifeboat Triumph and the CG Utility boat 40564 in one of the worst tragedies of the Pacific Graveyard’s history. The F/V Network capsized Friday morning as they hauled their crab pots out over the Tillamook Bar to begin the 2008-2009 Dungeness crab season. Of the three on board the boat, two crew members were lost. Our shipwreck chart also carries a list of the lost fishing vessels from this region, making the chart unique in that aspect. While it would be a comfort to never add to the list again, we continue to update the list, and in doing so offer a somber remembrance to those who make their living in the waters of the Pacific Graveyard. Presented with respect to the families, the survivors and those who have been lost in this pursuit. 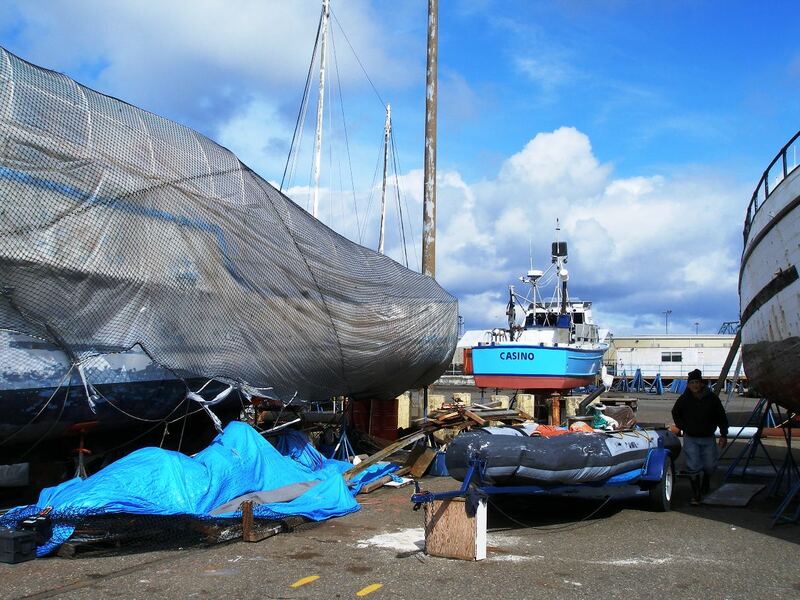 The survivors of the F/V Network loss, friends and family have our condolences. 503-338-6056 or bill@nwlimited.com for more information. 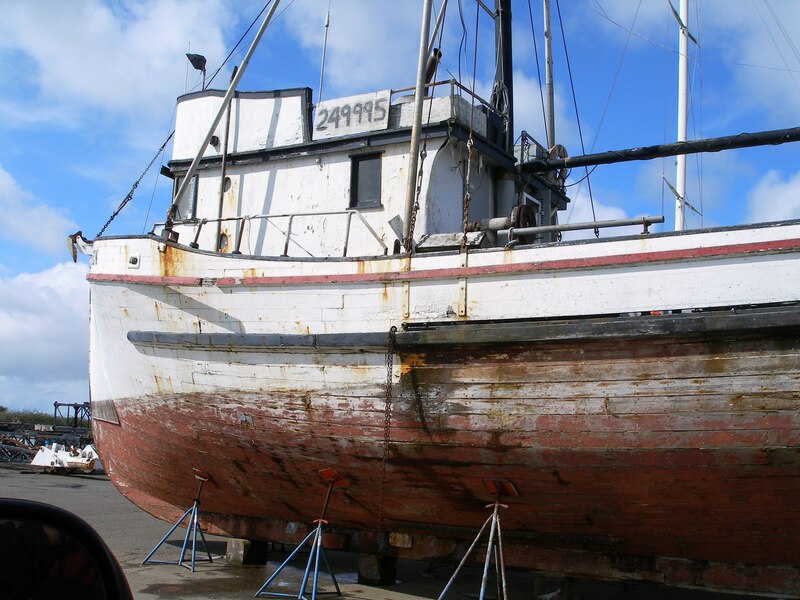 The Oregon Public Broadcasting network is airing a feature about the Nehalem Beeswax Wreck on Oregon Field Guide. If you haven’t already caught this episode, and are interested in learning more about Oregon’s oldest known shipwreck and its history, make sure to watch and familiarize yourself with this fascinating story about a Manila Galleon mystery. The links below will also provide more information. The Columbia Pacific Heritage Museum in Ilwaco, WA will host “Ocian in View” this November 7, 8 & 9th. As part of those events, on Sunday the 9th at 3:30 pm there will be a dedication of the Cape Disappointment Nickel plaque and Open House with the photographer, Andrew Cier, (whose photo was used for the Lewis & Clark nickel as well as the GPS Marker). Other events include presentations by the Chinook Indian Tribe, Knappton Cove Heritage Center Open House, a seafood dinner, and bus tours. Warrenton attempting a Columbia River entrance. The grounded ship was unsalvageable. 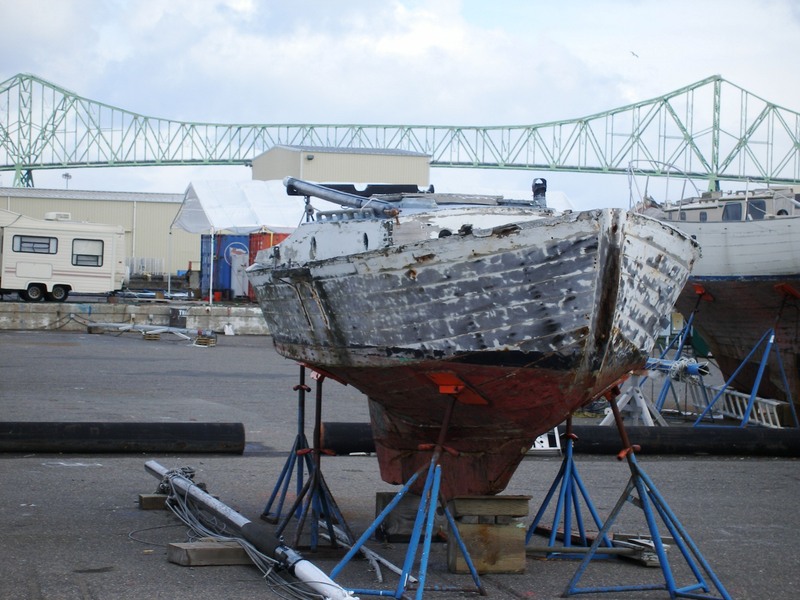 Over a century later, only her rusting bones remain. Peter Iredale in January 2008 near Ft. Stevens. The wreck is one of several hundred casualties of the Pacific Graveyard and appears as the most familiar landmark on "Dead Reckoning of the Pacific Graveyard" shipwreck chart by NW Limited...History in VogueTM. Oft-photographed, endlessly visited by tourists, the Iredale’s weathered skeleton is testament both to the forces of nature and folly of man. There are countless more like her that have disappeared, shipwrecked forever by virtue of lucky salvage or the relentless pounding of waves, wind, tide and time. “Dead Reckoning of the Pacific Graveyard” documents these, lifting them from conscious memory, and marking them in historic record. Anecdotes from each wreck are provided, stories which are entwined in the foundation of a region rich with maritime activity. As the newest and most complete shipwreck chart of the SW Washington, NW Oregon coast and lower Columbia River, it is also the most aesthetically-minded. Printed on high-quality paper, the lithograph (detail shown below) is built to stand the test of time both as a collectible, historic tribute and an artful display. 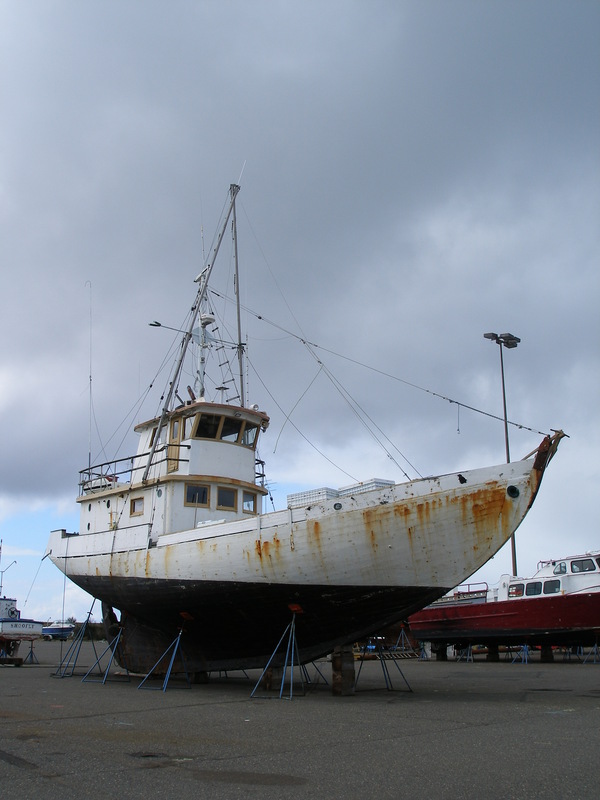 For information on ordering a shipwreck chart directly from the creator, please contact bill@nwlimited.com or call 503-338-6056. This weekend at Ocean View Cemetary in Warrenton, Oregon, the Clatsop County Historical Society will be hosting the fifth rendition of their popular “Talking Tombstones” event. If you love history, it’s an event not to be missed. The Clatsop County Historical Society with sponsorship from Astoria Granite Works is excited to once again present Talking Tombstones. This year’s sequel, “Talking Tombstones V, Friends In Low Places” will be held on Sunday, October 26th from 1:00 p.m. until dusk at the Ocean View Cemetery, SW 18th Street, Warrenton. Ten former citizens are expected to return from the great beyond for a graveside chat with any and all willing to visit their tombstone.This is a FREE event, however donations are welcome. Visitors should plan to arrive no later than 4:00 p.m. as the deceased begin to fade from view as the darkness of night draws near. To learn more about Talking Tombstones or how you might assist with the event, please call 503-325-2203 or e-mail: cchs@cumtux.org. 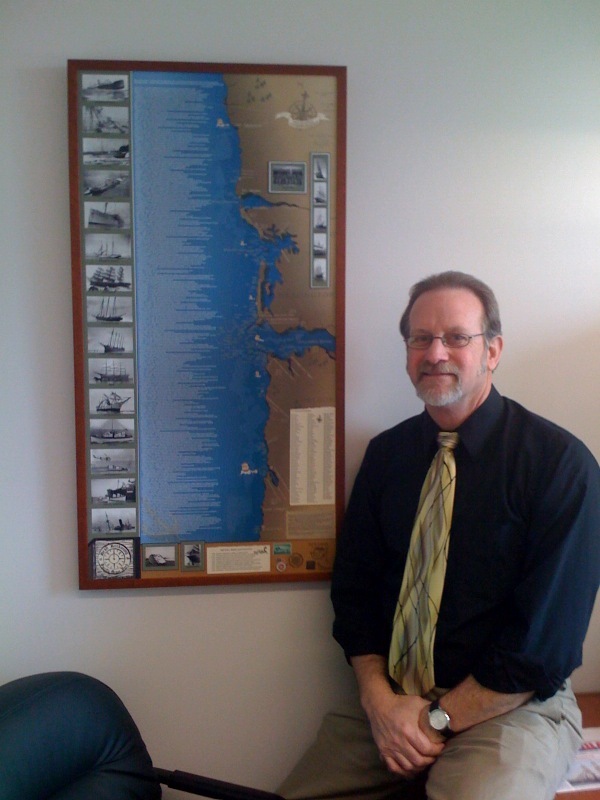 Bill has loaned the Lewis and Clark Interpretive Center at Cape Disappointment State Park a sunken ship chart to be hung in the “Conquering the River” exhibit where there are historic artifacts from the area’s wrecks displayed in rooms overlooking the Pacific Graveyard itself. Other events throughout the region include tours of North Head Lighthouse in addition to the exhibit at the Lewis & Clark Interpretive Center which will run through December at Cape D.
Ft. Columbia State Park is hosting a sea shanty camp on Saturday from 9 a.m. to 5 p.m.
Ft. Stevens State Park in Oregon is hosting free, ranger-led talks from 11 a.m. to 1 p.m. at the wreck of the Peter Iredale. The Iredale wrecked Oct. 25, 1906. 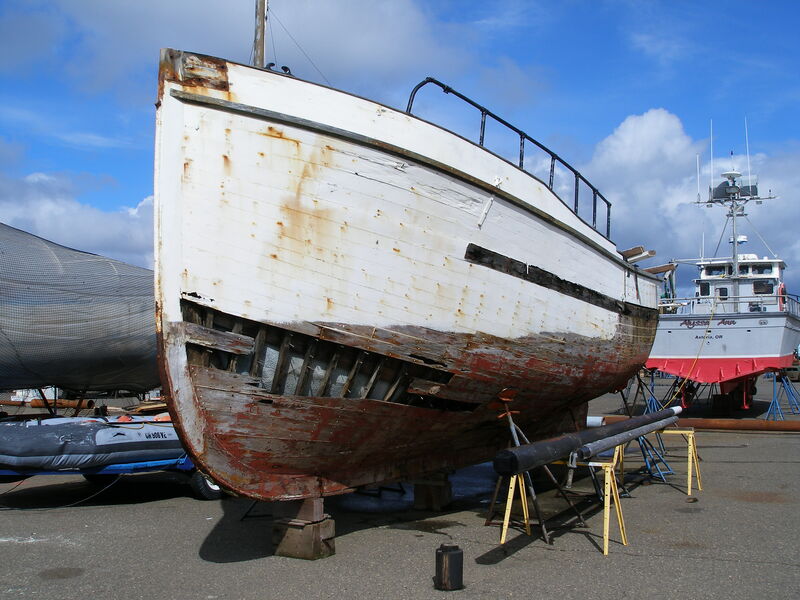 Columbia River Maritime Museum, Astoria will host “An evening of Maritime Music,” featuring the instructors of the “Sea Shanty Camp of the Columbia,” at 7-9 p.m. Saturday. Admission for this event is free. Now available seven days a week, 11 to 8 pm at Amazing Stories Astoria! You think your business is slow?! Merry Christmas! Now stop clowning around!